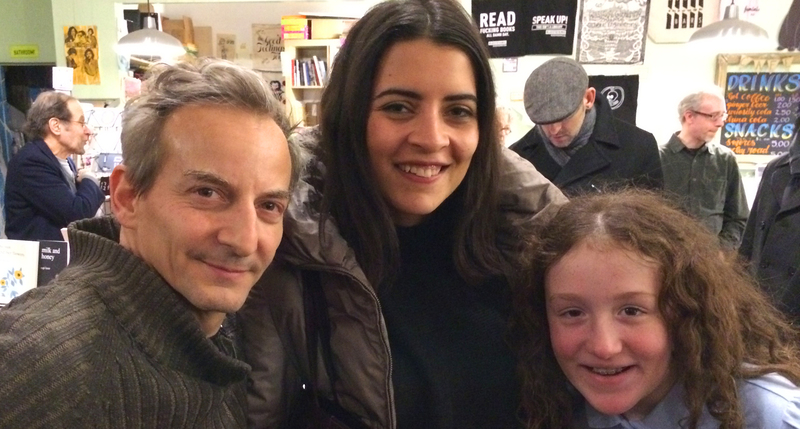 Last night I met with Diana Haj Ahmad (MFAD ’14) for the launch of Beautiful Rising: Creative Resistance from the Global South. 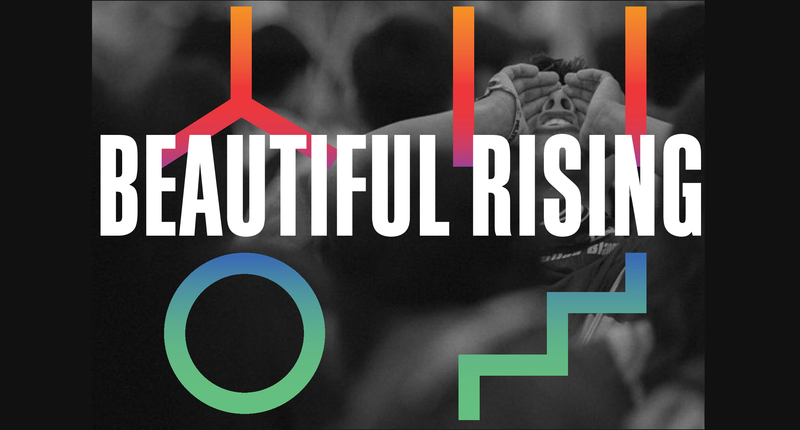 The book compiles some of the best content from the Beautiful Rising toolbox in one volume. Learn about the Ugandan organizers who smuggled two yellow-painted pigs into parliament to protest corruption . . . the Burmese students who marched 360 miles to protest undemocratic education reforms . . . the Lebanese “honk at parliament” campaign against politicians who had clung to power long after their term had expired . . . and so much more. 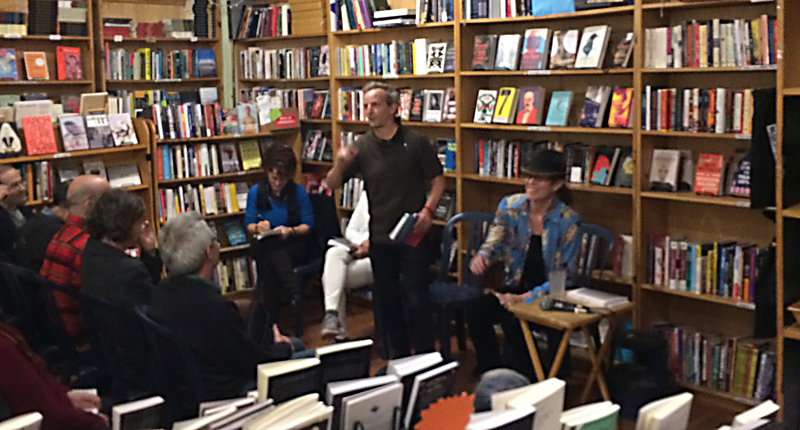 The event, held at Bluestockings, a volunteer-powered and collectively-owned radical bookstore was packed and featured a lively singing of the table of contents, (yes, singing), pantomime and readings from the editors. 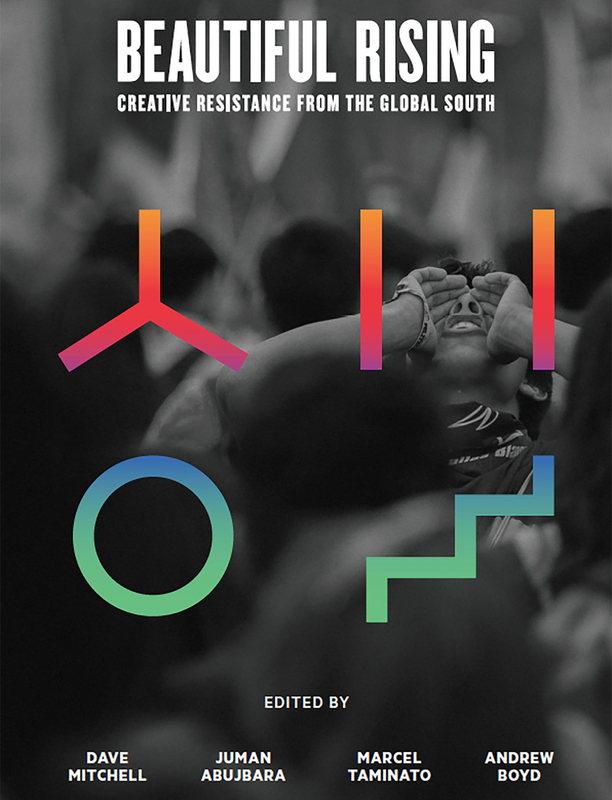 The book, art directed by Diana, Beautiful Rising: Creative Resistance from the Global South is available from OR books.